HEXUS has published several news articles about the potential applications of graphene in electronic components since its first reveal as a 'supermaterial' back in 2010. It has variously been heralded as a potential material for advancing battery tech, light tech, display tech, and even as a silicon-replacing game changer in the future of the CPU and GPU industries. However, tech enthusiasts have become increasingly wary of graphene science claims as it always seems to be in development rather than in products in commercial mass production. Now, researchers from RMIT University in Melbourne, Australia think they have found a key reason why graphene has 'over promised yet under delivered'. 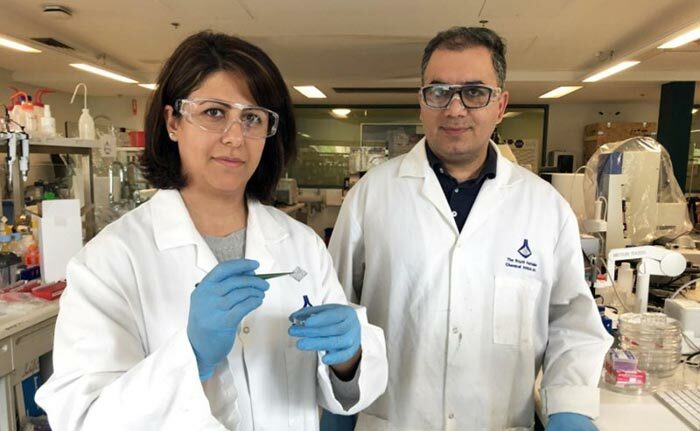 The scientists, lead by Dr Dorna Esrafilzadeh and Dr Rouhollah Ali Jalili, have been studying current commercial graphene samples, manufactured using top–down synthesis methods, to try and understand the disconnect between graphene potential and performance and think they have caught a very likely suspect. Looking at the sample graphene material atom-by-atom via state-of-the-art electron microscope, silicon contamination became apparent. "We found high levels of silicon contamination in commercially available graphene, with massive impacts on the material's performance," Esrafilzadeh said. Silicon is present in natural graphite but it hasn't been removed thoroughly enough in the commercial output. 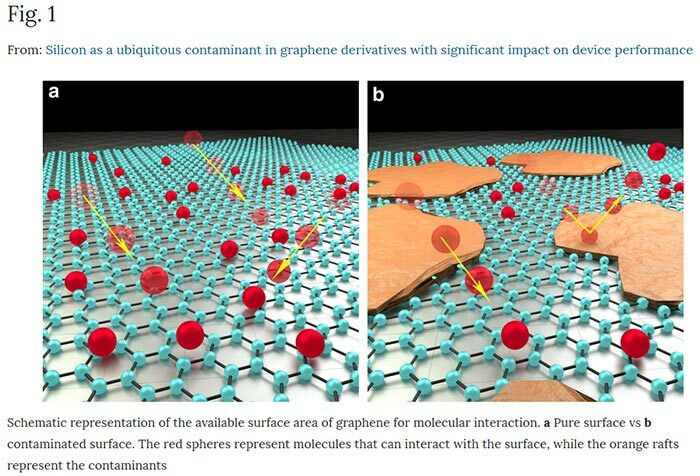 "We believe this contamination is at the heart of many seemingly inconsistent reports on the properties of graphene and perhaps many other atomically thin two-dimensional (2D) materials ," Esrafilzadeh explained. With the root cause of disappointing graphene performance identified the true transformative nature of this 2D nanomaterial can now be harnessed to its full potential, thought Esrafilzadeh, reports Science Daily. Its 2D nature makes it highly vulnerable to weakened 'supermaterial' properties with even small traces of contaminants. After testing and finding the silicon impurities the RMIT team demonstrated the major influence they can have on performance. In the lab contaminated material performed up to 50 per cent worse when tested as electrodes. Further testing with non-contaminated graphene allowed the researchers to create a supercapacitor with "massive" electrical charge capacity, within sight of the material's predicted theoretical capacity. A versatile humidity sensor with the highest sensitivity and the lowest limit of detection was also constructed at RMIT. Inconsistency has stymied industry applications of graphene in recent years it was claimed. The scientists hope that their research publication "will help to unlock the exciting potential of these materials". I'm surprised the disparity between theoretical performance and real life testing hadn't already been investigated! Surely contamination would of been thought of before? Or has it been previously too hard to determine and people were satisfied with suppliers certifying their graphene was “top quality”. Perhaps there needs to be an accrediting body to QC graphene suppliers. I am finding it hard to get my head around how a material can be two dimensional in a three dimensional world? Surely It is just very, very thinly flat, so much so that it would be impossible to see a side on view with the naked eye, but that doesn't mean it isn't actually there right? 2D in this case is referring to the arrangement of the atom in the material, and not to the material itself. All the atoms in the material are arranged in a way such that a single 2D plane can pass through them. Therefore it is considered a two-dimensional material even though the atoms themselves take up three-dimensional space. It's not literally two dimensional it's figuratively so, figuratively a piece of paper is 2D because you only need two numbers to find a location on its surface, literally it's not as it has thickness, same with Graphene because carbon atoms have three dimensions but for all intents and purposes it's two dimension as we only use two dimension to find a location on the surface of it.